DETROIT -- Ford division plans to launch a marketing campaign in July to tout the improved resale values of its vehicles. Ford also will train dealers this fall to push higher resale values. 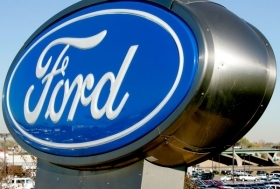 In fresh data from Automotive Lease Guide, Ford posted the largest increase of any automaker in ALG’s Perceived Quality Study between fall 2009 and spring 2010. The score measures how consumers view product quality. Honda was No. 1. Ford’s higher scores mean higher residual values for its vehicles. ALG’s chief economist, Matt Traylen, said Ford’s average car resale value was up by $2,400 from 2009 to 2010. The numbers exclude light-truck values. Traylen credited the higher resale values and quality perception in part to Ford’s avoiding a federal bailout. Also, the automaker restyled the 2010 Fusion and Taurus sedans. Farley said Ford is controlling production to match supply with demand, which increases resale values. Toyota slipped in the study’s rankings from first to sixth, Traylen said. That’s largely due to Toyota’s recall of 8 million vehicles early this year because of unintended acceleration. Ford will tout its improved resale values in summer and fall advertising on TV and radio, online and in print, Farley said. Ford will update dealer brochures starting in July to highlight improved resale values. “We feel the dealerships are the best places to tell the story in detail,” Farley said. Ford will host a “large training event” for dealers in the third quarter. The event is centered on the 2011 Fusion, but it also will coach dealers to promote resale values to customers and to teach them about new vehicle technology, Farley said.